Anyone out there happen to be a fridgey? Or been there, done that with fridge repairs? I got given a fridge. A flash harry LG double door thing with auto ice maker and all the bells and whistles. Woman was giving it away because she had the condenser replaced a month ago (cost $600) and now it has stopped getting cold. She called a technician who said it probably needs regassing but would charge to come have a look and it might cost a bit to fix. She was going to dump it so I said I'd have it, worst case I can use it as a gun safe, tool box or smoker. Now that i've picked it up and see how flash it is, I reckon it might be worth getting it back up to speed and putting it in the house. take it to said technition,drop it off and tell him to fix it if cost is less than say??? ?$400 if and when he has time and then bugger off and forget about it for a while.if he cant do it for less than that...up to you... try auto sparky who does air con or indeed air con guys. it MIGHT be something really dumb simple that sparky with time will suss out...push them and they will just keep replacing stuff till it works. Following with interest. We have a 700L chest freezer that appears to need a regas. Paid $99 to a F&P ‘tech’ to tell me its not worth repairing. 4 years old!!! Pretty tough call to diagnose without seeing anything. If it’s short it has a leak that needs repair. Re-gas is the finished process. It’s illegal to add refrigerant to a system without repairing the initial fault (leak). Refrigerants are very expensive now that we are paying carbon taxes. Factor in labour and other materials and $400 is just the start. Initial thoughts are the condenser renewal was not done properly. Dorkus and Russian 22. like this. just whip down to supercheap and get a can of that gas for car ac should be good. I don’t know much about shooting and guns but refigeration I may be of some help. First thing to check, is the compressor at the back running. If it runs with out stopping it may be short of refrigerant. If it’s not running then it may be a control/ thermostat issue. 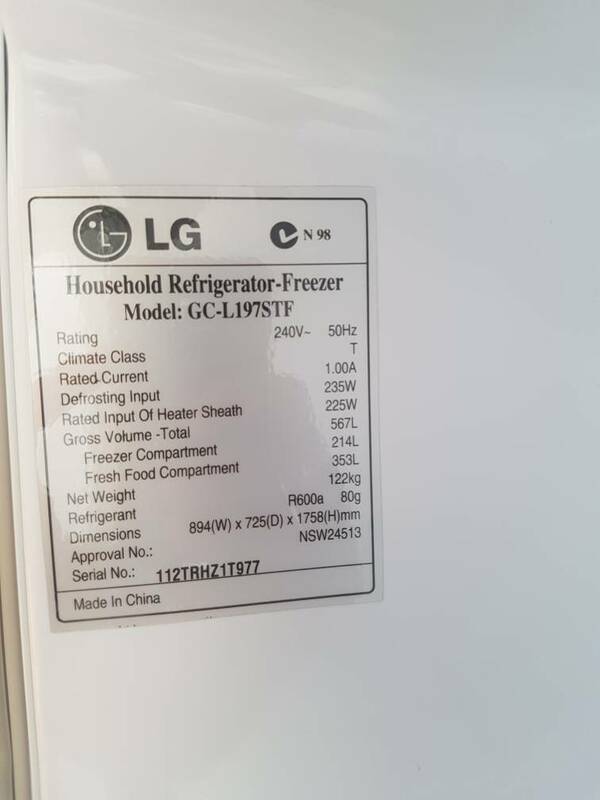 Also can you post a photo of the tag, it will have the model number refrigerant type and amount along with current draw. mikee and Sideshow like this. Thanks for the reply. Here's the picture of the tag. It seems like the compressor is running continuously (gentle whirring noise). I put a 1.5l water bottle in the fridge yesterday afternoon, it's now reasonably cold. I put another in the freezer at the same time and it's no colder than the fridge one. Yeah I think that was the advice from the technician the lady rang and the reason it ended up free.